Norway’s least welcome refugee, who’s been formally declared a threat to national security, sat down with reporters in Oslo on Thursday but only those from foreign media. 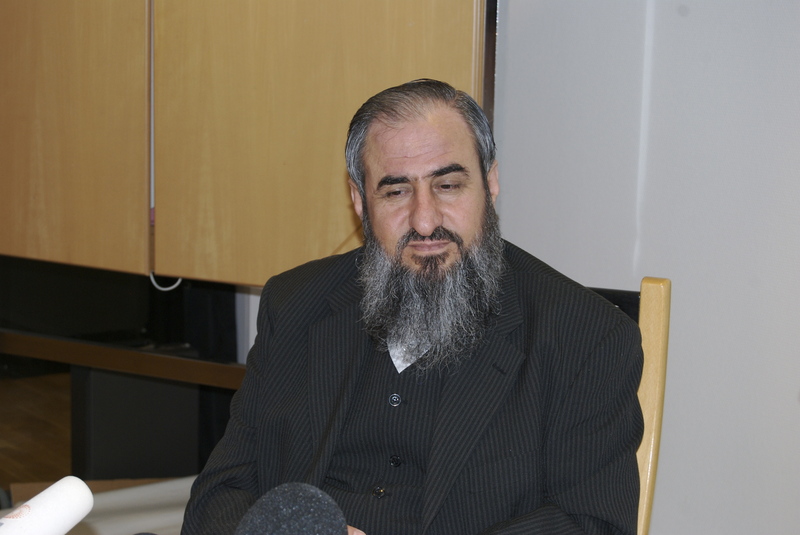 Mullah Krekar said at the outset that he doesn’t want any contact with Norwegian media because he “has found no sympathy” in the local press for his cause. It proved difficult to determine exactly what his “cause” is, because he’s a man full of contradictions. Asked where he really wants to live, he answered “my village back in Northern Iraq,” yet he’s been fighting any attempt to send him back where he came from. Even though he voluntarily traveled back and forth to the area to run the guerrilla group Ansar al-Islam in the 1990s, while holding refugee status in Norway, he now believes he’ll probably be killed there. Krekar said he fled Saddam Hussein’s government, yet he feels no gratitude to the US for toppling Hussein’s regime. To the contrary, he still claims that “anyone” has a right to kill occupying forces in Iraq, especially Americans. “All who have occupied Iraq can be killed,” he said on Thursday, repeating his support for suicide bombers that earlier has set off a storm of controversy in Norway. While Norwegian authorities would dearly love to deport Krekar, they won’t send him back to Iraq for fear he’d be sentenced to death there. Krekar, who has had his passport revoked and claims he must rely on his wife for support, complained bitterly about how he’s been treated in Norway, even though he’s fought hard to stay in the country that initially gave him a safe haven. 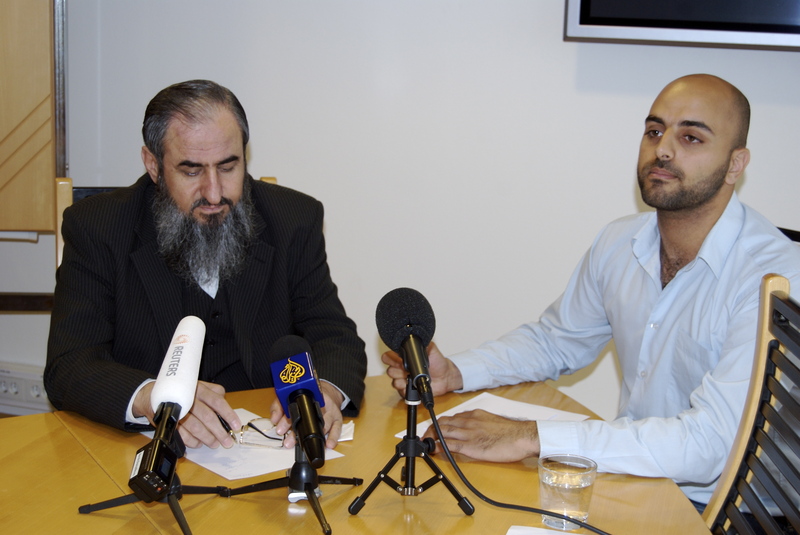 “I think that Norway has been forced to have me here,” said Krekar, speaking in Arabic. He came to Norway 19 years ago but wanted all questions posed in Norwegian and translated into Arabic by an interpreter, who then translated Krekar’s answers back into Norwegian for the foreign press corps that mostly needed to write in either English or French. Krekar is now living at a “secret address” in Oslo, and has “some degree” of police protection. In January, someone fired shots into the apartment where Krekar was living with his wife, who works in a kindergarten, and his 15-year-old son who was born in Norway. Another grown daughter and her husband were home at the time as well. Krekar believes he was the target, not his son-in-law, and that it wasn’t a “professional” assassination attempt. He ruled out government, “Middle Eastern” or “western” assassins, claiming they “use other methods.” He thinks he was the target of “other Kurds” and says he was satisfied with the first phase of the police investigation. No arrests have been made since. He now appears a frustrated man, unhappy with the constraints put on him by the confiscation of his passport and bank account. 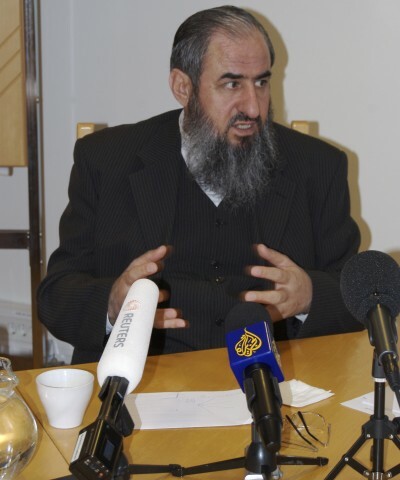 “I have three real enemies: The right wing of the Norwegian government, the Norwegian intelligence service and the Norwegian media,” Krekar said. He said he considered trying “to move to Castro,” in Cuba. He said he “ran away” from a Muslim country, now wants to run away from a democratic country like Norway, “and thought I’d try communism.” He then concluded Cuba “was very far” from his native culture. 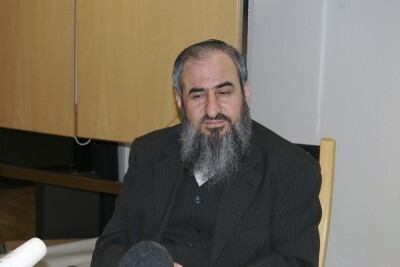 In the wide-ranging, two-hour-session, Krekar claimed he has not given any support to terror group Al-Qaeda and only speaks of Osama bin Laden “because he is bin Laden.” Krekar continues to reject charges he’s a terrorist himself, despite some admiration he’s expressed for bin Laden. “I talk about Ronaldo as well,” he said. “That doesn’t make me a football player.” He claimed he has had no contact “whatsoever” with his old guerrilla group Ansar al Islam since May 17, 2002. He believes he hasn’t done anything wrong, and said he has “no regrets” for any of his activities over the years. Asked whether he was at all grateful for being granted refugee status in Norway, being provided a home and state support for many years, he said “of course,” but is unhappy such support has evaporated and denies he’s a threat to national security. He said he has no contact with the mosques in Oslo or any Islamic groups in Norway, including the Islamic Net organization that’s causing concern at a local college in Oslo. The session drew to a close, though, with Krekar suddenly repeating explosive remarks made a few years ago. After claiming that it’s “Norway’s responsibility” to find him a secure country in which to live, he said that if he dies, whoever is responsible for his death will suffer the same fate.